Fix-O-Fit ... Give your best to the world! Fix-O-Fit can fix all your hair problems in a blink of an eye. The miracle for your hair problems which you have been looking since your lifetime. Have you tried all kind of home remedies , expensive shampoos and spent millions on spas and therapies in an expensive salon ? But still after getting such load on your pocket . Nothing seems to work well with you . You end up with those bad hair days, Fix-O-Fit hair fiber is the ultimate solution for building hair instantaly in 30 seconds and get your younger look back. Hairfall is not just your problem. Now-a- days ,hairfall has become one of the most common problem for both men and women , this is due to the adoption of unhealthy lifestyle , increasing pollution , stress , poor diet, hormonal changes and usage of detergents. Fit-O- Fix Hair Fiber is a one time solution for all of your hair problems. Whether you want to hide bald patches or just want to increase the volume of hairs or want to get rid of hair thinning , we got solution for all. You will not have any embarrassing moments as these fibers are undetectable even as close as a few inches away. Think hair fibres are only used by guys as a hair loss concealer? Think again. Loved by men and women, Fix-O-Fit Keratin Hair Thickening Fibres are the quick and easy way to thicken your hair in seconds. They’re the perfect solution for boosting your confidence before an important meeting or big night out, or for using every day on fine or thinning hair. Still you have doubt? Call us on +91 8980000537 for free trial sample..
2. 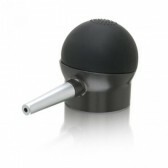 Shake or spray Hair Fibers into thinning areas. Disperse Sprinkle onto thinning or bald areas of clean, dry hair evenly. The fibers are dispensed from special containers to maximize the electrostatic charge. Sprinkle fibers are to be applied on the scalp where some natural hair does exist. Get the perfect look for a party in an instance by thickening your bald patches. Fix-O-Fit Hair Fibers resist wind, rain, and perspiration for long-lasting results in all conditions. Available in three shades that can be mixed to match virtually any hair color, Hair Fibers work for all hair types and textures. 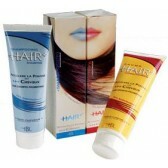 Also great for part lines, covering extension tracks and touching up roots between hair color appointments. Easily washes out with shampoo. Q. WHAT ARE Fix-O-Fit HAIR BUILDING FIBERS MADE OF? 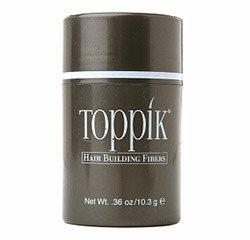 A. Fix-O-Fit Hair Building Fibers are made of Keratin protein - the same thing that makes up human hair. The Keratin protein comes from a natural wool source, which is the closest match to human hair. 100% natural no side effects. Q. 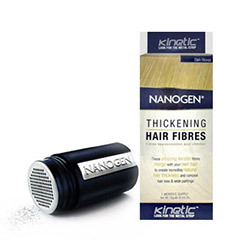 HOW WILL DO THE FIBERS MATCH MY EXISTING HAIR? A. Extremely well. We have a large selection of different hair building fiber colors to match anyone’s hair color.Select color that match with your hair Or just call us to know more about , we will help you to get best color for your hair. Q. IN RAIN, WILL Fix-O-Fit HAIR BUILDING FIBERS REMAIN IN MY HAIR? A. Fix-O-Fit Hair Building Fibers stay firmly in place even in wind, rain and perspiration. For even longer-lasting results and added shine, use Fix-O-Fit All Day Long Spray. Q. CAN Fix-O-Fit HAIR FIBERS COVER GRAY ROOTS OR COLOR-TREATED ROOT RE-GROWTH? A. Fix-O-Fit Hair Building Fibers stay firmly in place even in wind, rain and perspiration. 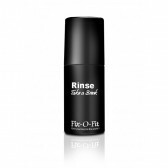 For even longer-lasting results and added shine, use Fix-O-Fit Hair Fiber Holding Spray (Settle). Q. DO Fix-O-Fit HAIR BUILDING FIBERS WORK ON ETHNIC HAIR? A. The texture and appearance of the Fix-O-Fit Hair Fibers work well with ethnic hair. Q. HOW LONG WILL A BOTTLE OF FIX-O-FIT HAIR BUILDING FIBERS LAST? Return your items and get money back if not satisfied.